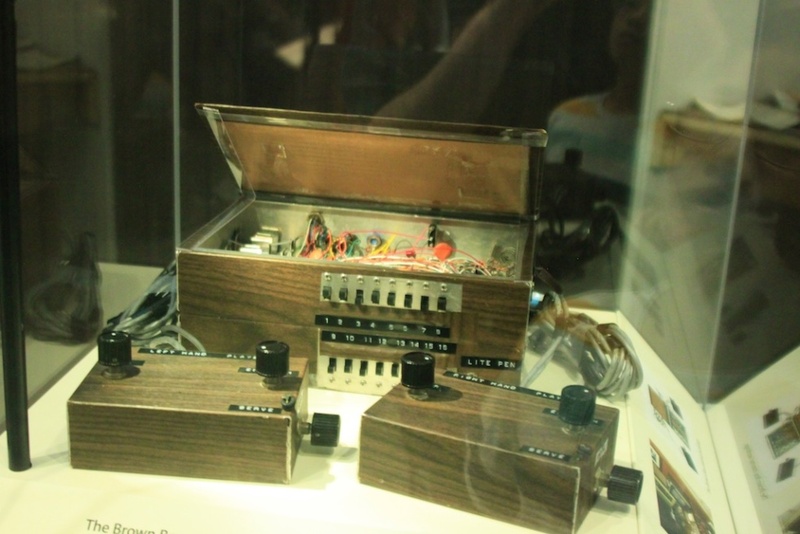 Ralph Baer's original "Brown Box" prototype, arguably the first ever TV video game, is a large part of the reason I wanted to check out this exhibit. When you think about the Smithsonian Institution museums in Washington DC, you probably think of a lot of dinosaur bones and musty old documents tracing the founding of the country. If you're really up on the organization, maybe you'll think of Dorothy's ruby slippers or the space shuttles and the Air and Space Museum. What you probably don't think about is modern consumer technology. But a new wing at the Smithsonian's American History Museum hopes to change that. The "America Innovates!" section of the museum reopened on Wednesday with a number of exhibits explaining the history of American invention, from early farm tools to Silicon Valley. The wing features a number of rare and well-preserved items from the Smithsonian collection for perusal, including "Father of Video Games" Ralph Baer's workshop and his original "Brown Box" interactive video game prototype. Just before the July 4 holiday, we took a trip to the museum to see what technological treasures are now on display for the American public. The above gallery of interesting gems barely scratches the surface; come on down to the National Mall in Washington DC to see more.